This dredge is working in the Grey valley near Ngahere on the West Coast. 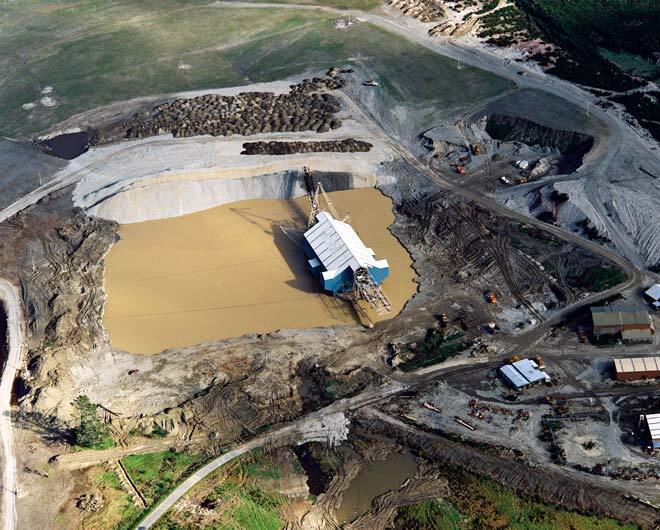 The worked area is in the foreground, and the tailings are being stacked behind the dredge from the conveyor belt on the boom. Mounds of dark topsoil sit on top of the light-grey tailings. This will later be smoothed over and planted with grass to provide good farmland.